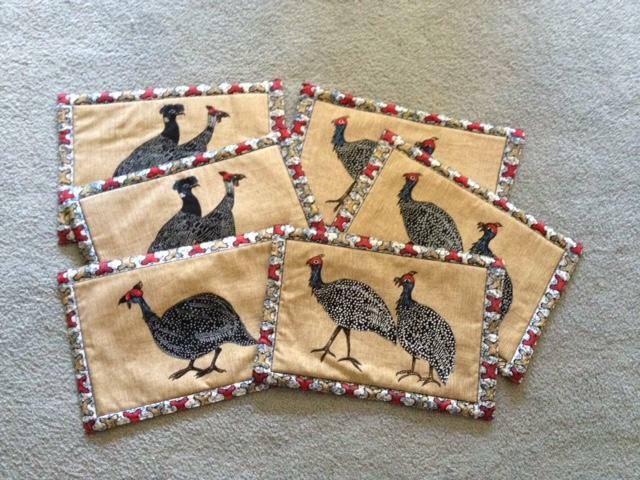 Guinea fowl Placemats -- a set of six. Handmade by rural ladies in Zimbabwe. Nicely done and another way to bring our friends inside.